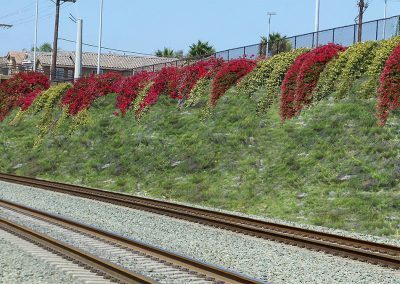 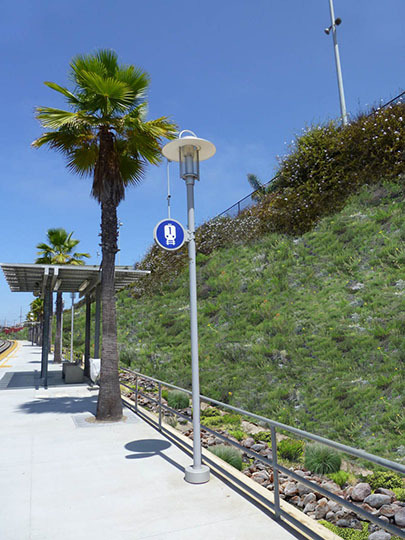 Commissioned by the North County Transit District, Gruen Associates studied and analyzed the station and provided analysis of the station for slope stabilization and erosion control measures. 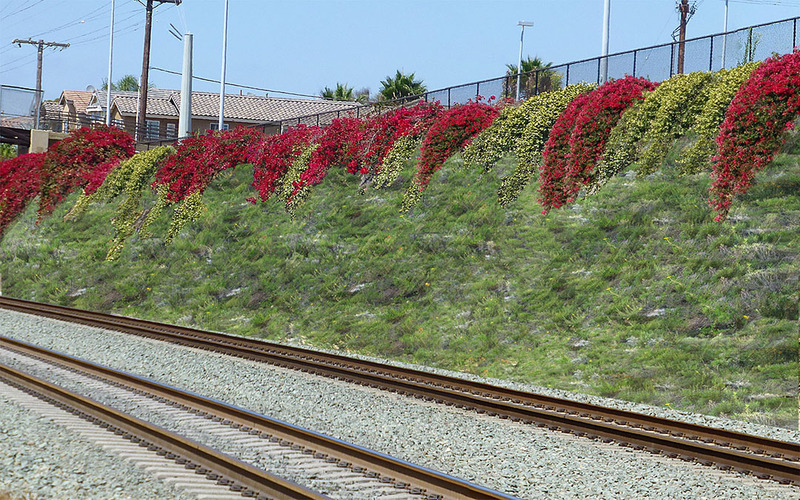 The slopes are currently in a deteriorated condition since the original landscape and slope stabilization elements were installed in 2003. 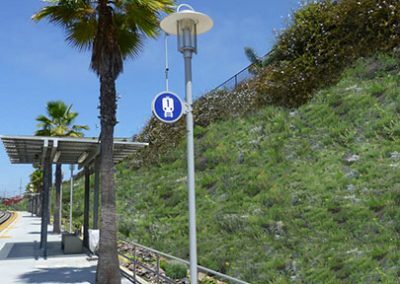 After completing the thorough analysis, Gruen Associates developed design alternatives including improved planting alternatives and custom-form liner retaining walls for the beautification and enhancement of the slopes for the station users.